Deluxe 12″ vinyl with reverse board printed cover, gold prints and vinyl sized booklet on uncoated, rough paper. All copies on black wax. Incl. a dropcard for digital download. 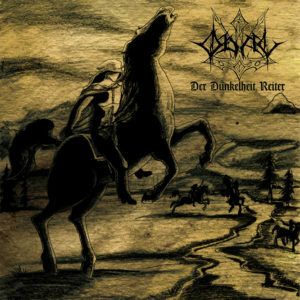 With a long 8 year wait after their last and esteemed full length, and in the wake of their recent EP “Der Dunkelheit Reiter”, this Thuringian trio made sure to feature tracks of epic proportions that will fit with their impressive back catalogue they highlighted with “Wilde Kraft” (2005) and “Zornes Heimat” (2008). 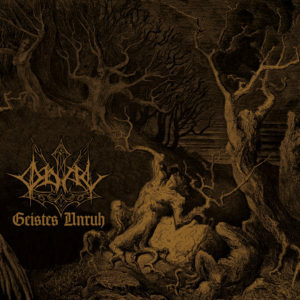 Picking up where they left off, Odal offers a dense six-track ride into grim, emotive black majesty, bound and influenced by raw northern blooded black metal and pagan roots. 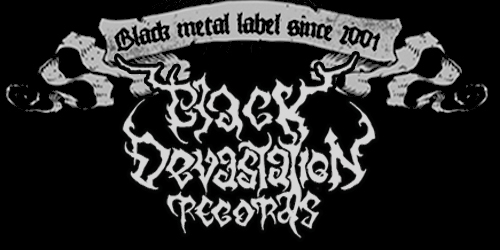 Refined, yet pure to their core, it comprises some of the most mature material written in the bands existence. Yet again, every step of the way, they musically hover in the same direction as the previous albums. “Geistes Unruh” (spirit’s unrest) remains more clear & focused, provided with strong melodies, striking drumming, and an unfaltering voice.